Readers of this blog will have seen my recent post about Scottish Pacific Business Finance deciding to pull out of the UK market. 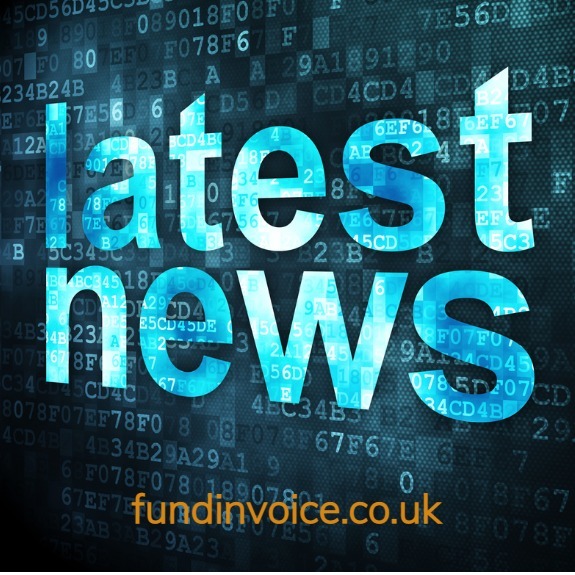 So I was quite surprised to receive an email yesterday from Scottish Pacific Business Finance heralding a new invoice finance product announcement - it said that they are now offering funding of up to 95% in as little as 24 hours. I called Scottish Pacific in the UK, to check that the email was legitimate, and sure enough they confirmed their intention to withdraw from the UK market. They also requested a copy of the email. Then I took a second look at the email and realised (based on the details at the very footer of the email) that the email originated from the Austalian division of Scottish Pacific Business Finance, and it refers to their Australian invoice finance product, for businesses based in Australia. The branding is exactly the same as the UK division, as is the name. I guess the phone number was the only other give away, but there are so many different styles of number in use in the UK these days, it didn't register. I am clearly also on the mailing list of the Australian contingent, as we are in touch with invoice finance companies all over the world. Mystery solved - the UK division is still set to close down, however it appears that the division in Australia are agressively seeking new clients by improving their invoice finance product offering.